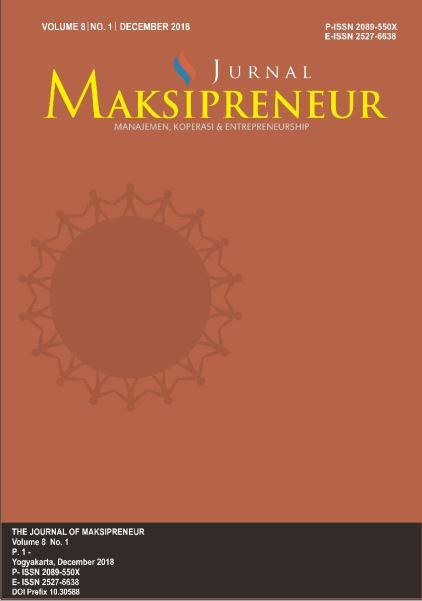 Jurnal Maksipreneur: Manajemen, Koperasi, dan Entrepreneurship (JMP) is a periodical scientific journal published by Universitas Proklamasi 45 (UP45) Yogyakarta, Indonesia, twice a year on December and June. This journal is intended to collect and publish a summary of research results, scientific development writings, book reviews, as well as original ideas those are fresh and challenging related to the study of development in management, cooperatives, and entrepreneurship. The JMP editor invites academicians, researchers, and practitioners who have a great interest in the development of scholarship in these fields to submit their best works. The article will have DOI from Crossref. The article storage is guaranted because this journal is directly integrated with LOCKSS system which developed by Public Knowledge Project (PKP) of Stanford University. JMP uses blind peer-review process. JMP is indexed by some international indexes. 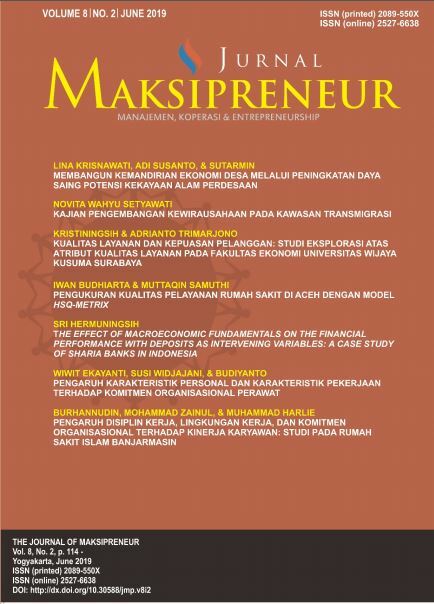 In the future development, we are going to bring this journal to be accreditated by The Minister of Research, Technology, and Higher Education of the Republic of Indonesia and indexed by Scopus and other reputable international indexes. All readers can read and download any full-text articles for free of charge.